Ideal for protecting fragile items during moves. Whether you’re moving home, putting items in storage or sending a parcel overseas, polystyrene chips are ideal for protecting fragile items. They’re extremely lightweight, keeping transportation or postal costs to a minimum. They’re also economical, and can be used more than once. Polystyrene chips are excellent for filling gaps in boxes. This cushions box contents, protecting them from damage due to impact with other items – for example, when cardboard moving boxes are dropped, accidentally kicked, or have heavy objects stacked on top of them. The chips also help prevent breakages due to shifting of box contents during transportation. 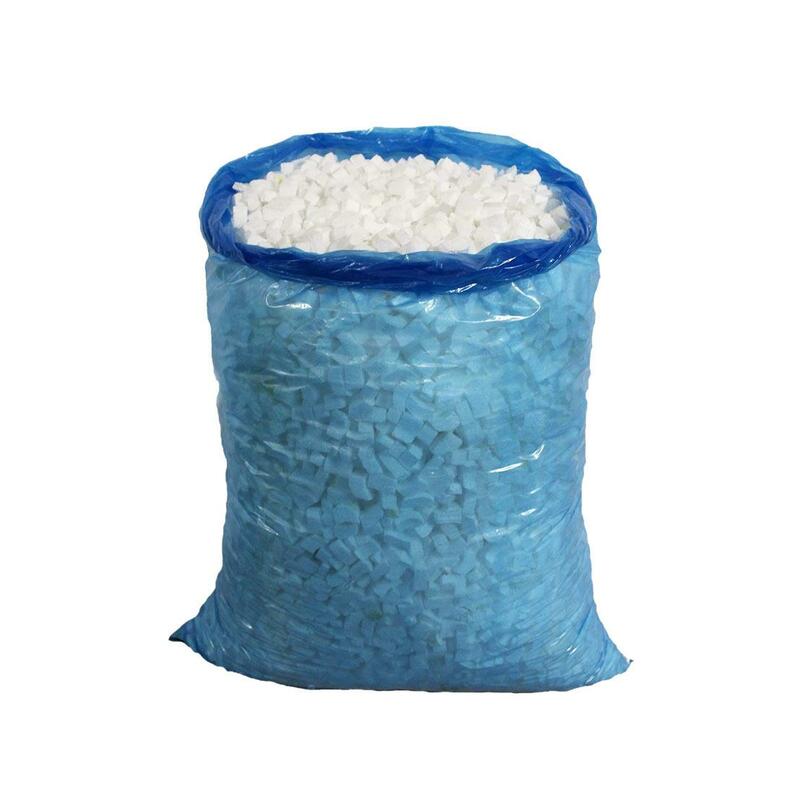 Unlike many other suppliers, we offer polystyrene chips in comparatively small, 500-gram bags. This is to save our customers from having to buy bulk quantities that are in excess of their needs. Order our polystyrene chips for sale online and we’ll deliver them, along with packing boxes, moving supplies and any other protective packaging you need, directly to your location.